This quilt design is a great one to choose if you are looking to use up lots of scraps of fabric. Pam Yeomans, who can be found at Craftsy.com, is the original creator of the pattern. I have just slightly altered mine to make it more unique! 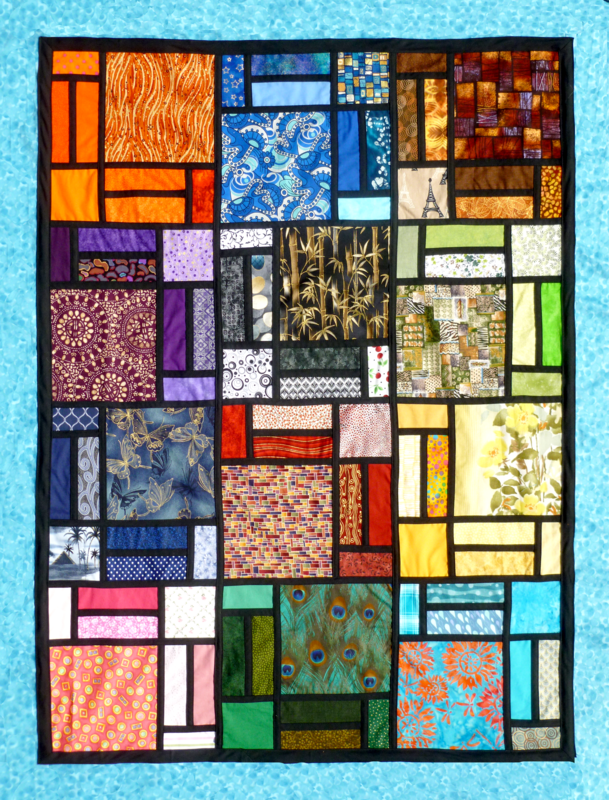 There are 12 different coloured squares in the quilt, each of which has 8 different fabric pieces making them up. Overall, this particular quilt used nearly 200 separate pieces but has ended up looking spectacular! The quilt is approximately 120cm x 150cm and will be on display at Louise’s 2015 Open Studios.